How many euros does that come to? Although I work at a teaching institution, I received a small research grant this year to buy some copies from the French war archives (SHD, SHAT, whatever you’re called now, you’ll always be the Archives de Guerre to me). Over the past twenty years I’ve purchased about eighteen microfilm reels from the AG, in addition to notes I took while I was there a dozen years ago (more, I’m afraid). It looks like this grant will allow me to double the size of my French collection. The AG doesn’t appear to offer much in the way of scanned images (at least in bulk), but it doesn’t look like they’ve changed their prices for the past decade or more. Now I remember why I love our library’s microfilm-to-PDF scanner. So I guess I have a few more volumes of archives to go after all. And a few lifetimes as well. Donations accepted! It would be more difficult to figure out an equivalent number of volumes in the British (English) archives, since they’re split between the National Archives’ Public Record Office and the British Library in several different sections, in addition to a variety of other archives (only a few of which I visited last year), English, Scottish and presumably Irish as well. These are much more accessible (for a foreigner) than French archival sources. Almost all of Marlborough’s outgoing correspondence has been published since 1845, while several dozen volumes of Marlborough’s Blenheim papers (300+ volumes overall) are available on microfilm in a number of U.S. libraries. Many of the PRO’s State Papers Foreign holdings are also available through Gale Cengage. Thanks to such resources, and additional research grants, I’ve managed to acquire copies of about 115 volumes from the PRO and BL. Now I remember why I’ve been focusing on the English perspective for the past several years. The main Dutch archives (Algemeen Rijskarchief, now Nationaal Archief) include hundreds of volumes of letters with the States-General and the Council of State (Raad van Staat), correspondence ordinary and secret, incoming and outgoing, in addition to resolutions and various family papers. Fortunately, practically all of the official correspondence of the key Dutch official, Raadpensionaris Anthonie Heinsius has been published by Guus Veenendaal, Jr., in nineteen volumes. All of these briefwisseling are online and searchable, although admittedly only fourteen of the volumes directly relate to the Spanish Succession. These numbered letters total 18,000 documents from 1702 through mid-1713. The Dutch regional and local archives also have some great sources, e.g. the Vegelin van Claerbergen family papers in Friesland. Unfortunately the expense of making copies from the Dutch archives (and the fact that some of the collections have been declared uncopyable), combined with the inaccessibility of even the finding aids (until recently), has only exacerbated the widespread ignorance of the Dutch perspective. Now I remember why my Dutch is so rusty. I can’t say much about any of the other archives relating to the Spanish Succession: in Belgium, Spain, Austria, Italy, Hungary, various German states… But in addition to the above-mentioned masses of paper and PDFs, we could add the hundreds of books and pamphlets that were published on the subject at the time and soon thereafter. Fortunately most of these are now available online, and most of the rest can be bought somewhat-cheaply from various libraries. 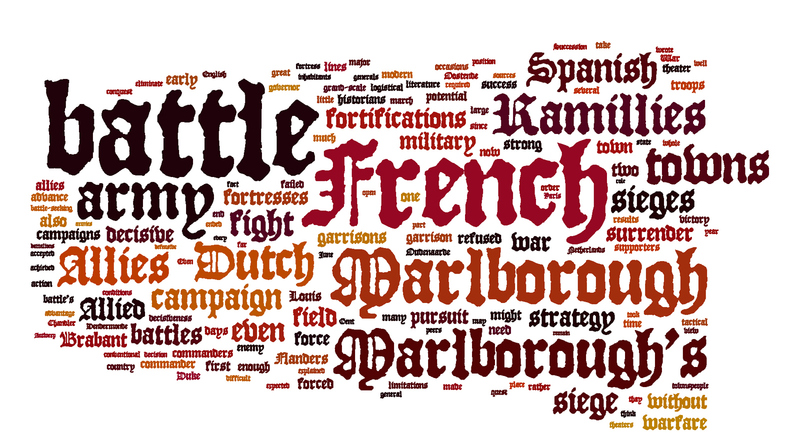 My current bibliography count for English-language works relating to the Duke of Marlborough and the war published between 1702 and 1713 is about 700, although Horn’s survey of the Marlborough literature might diverge slightly. 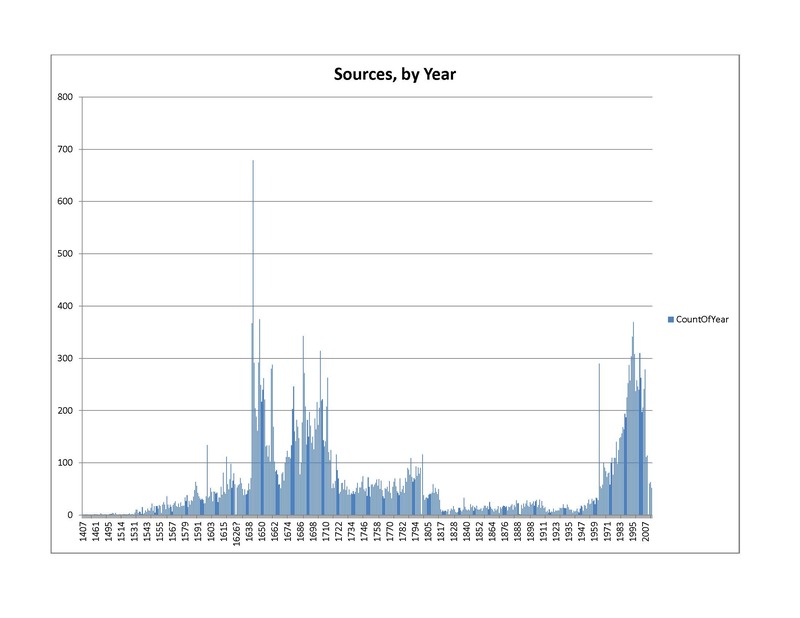 Morgan’s three-volume bibliography of English publications during Anne’s reign gives a better indication of the overall output: 400-600 publications per year, although not all of these directly relate to the war. The Dutch national library has started doing its part as well: the Koninklijke Bibliotheek, has recently scanned in hundreds of pamflets as well (the Knuttel collection). Now I remember why my 2 terabyte external hard drive is full. Let’s not forget the 9,000 or so English newspaper issues published during the war. I am pretty certain about this estimate because I downloaded 8,000 of them and there were still several papers where I had only a handful of the press run, such as the Flying Post and the Post Boy. There were probably a similar number of French, Dutch, Spanish and German newspapers too, a few of which are available online (Mercure galant, Europische Mercurius, Mercure historique et politique, Gazette d’Amsterdam…). Each of these newspapers probably averaged 6-10 separate news accounts in an issue, as we’ve discussed in an earlier four-part series. Now I remember why I’m so annoyed that I mis-recorded the dates of all those newspapers with the first listed day instead of the last day. Add it up, and that’s a lot of info to look through and keep track of – maybe it’s a good thing that there isn’t a lot of recent secondary literature on the war? Now I remember why most scholars focus on one country. And the scariest thing of all? When you’re reading somebody’s history of the war, you’ll likely only see a selection of those documents that they found useful, not all the other documents that they still had to read through just in order to categorize it as “not important (now).” Now I remember why I obsess over note-taking. Tip of the iceberg, that’s the historian’s way. P.S. For those curious, the SHD seems to have somewhat recovered from their hack attack which brought down their website for several weeks. The (current) update is at http://www.servicehistorique.defense.gouv.fr/spip.php?article747. So you want to see my main publications? Well here you go (spoiler alert!). I need to work on my prose. 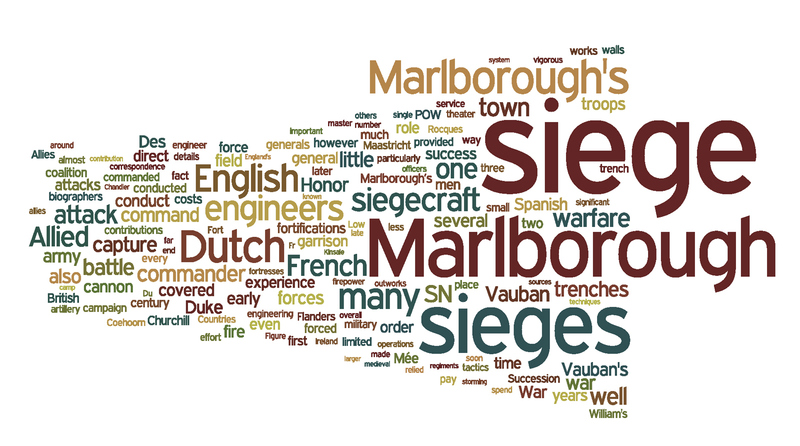 Unfortunately there aren’t too many synonyms for siege and engineer. Good thing I’m focusing on battle now. This includes the entirety of my bib database, which includes some non-military works, but very few works on 19th and 20th century history (as he stifles a yawn). Since I am obsessively focused on EMEMH and have entered almost all of these by hand, I don’t have citations for a whole range of ‘classic’ (or otherwise) works on early modern European history, unless they directly relate to military matters. My bib database includes very few works on Napoleonic warfare as well, the inclusion of which would obviously inflate the 19C & 20C count. For edited collections, I included a record for each book, and then separate records for any chapters that were of interest to me. So depending on whether your level of analysis is the book or article/chapter, the count will vary slightly. There are an extremely large number of pre-1800 works (22,002) because I mass imported a whole load of titles from a library with individual catalog records from EEBO from the second half of the 17C, which include many books on non-military subjects. My bib database includes, IMHO, a pretty full accounting of all the English and French language works on EMEMH (certainly for subjects covering the period from c. 1670 to 1715, as well as late-20C scholarship on all early modern periods) – I’m a bit of a citation collector you might say. Not quite as much for works written in the other European languages, although I do have a fair number of German and Dutch works saved in my Google Books library as well downloaded files saved in various folders (from the KB’s Knuttel Pamflets for example). One of the reasons to switch to Zotero, to speed up entry (even as it slows down entry and recall in other ways). Anybody know if Zotero can do this kind of querying? I know they have a timeline feature, but I haven’t been impressed with what I’ve seen thus far. But more importantly, what’s the shape of your bibliography? Mallett, M., and Christine Shaw. The Italian Wars 1494-1559: War, State and Society in Early Modern Europe. 1st ed. Pearson, 2012. For those keeping track, it looks like the mega-conglomerate Pearson has taken over the Longman Modern Wars in Perspective series. Terry-Fritsch, Allie, Erin Felicia Labbie, and W. J. T. Mitchell, eds. Beholding Violence in Medieval and Early Modern Europe. Ashgate Publishing Company, 2012. Most of the chapters focus on art history and violence broadly defined (dare I say ‘constructed’), but Brian Sandberg’s “‘To have the pleasure of this siege’: envisioning siege warfare during the European wars of religion” may be of interest to military historians more narrowly defined. Michael Wolfe’s earlier works on the subject touch on a similar theme, especially his “Writing the City under Attack: Siege Warfare as Vicarious Experience during the French Wars of Religion” in Cities under Siege (Montalcino, Italy, 1999). I haven’t kept up with Dutch archival developments for several years, but today I somehow managed to happen upon a new (for me) important change: the Nationaal Archief (formerly Algemeen Rijksarchief) has now put up some (all?) of their typescript archive indices, the ones you had to go look at in the archives years ago. For one example, see this pdf. They also have scans of some of their maps as well. Most of the inventories aren’t nearly as descriptive as the catalogs the French Archives de Guerre put out 100 years ago (and which are now on Google Books/Gallica), but it’s a good start. If somebody has some free time (and the requisite knowledge of the Dutch language) and wants to update the rest of us in the comments, that’d be neat-o. As for me, I’ve got deadlines looming. I made this graphic back in grad school (in Excel), but since it never made its way into the dissertation or book, and since I’m busy with other things, I might as well post it here as filler. I did clean it up a bit in Adobe Illustrator, just for the record. 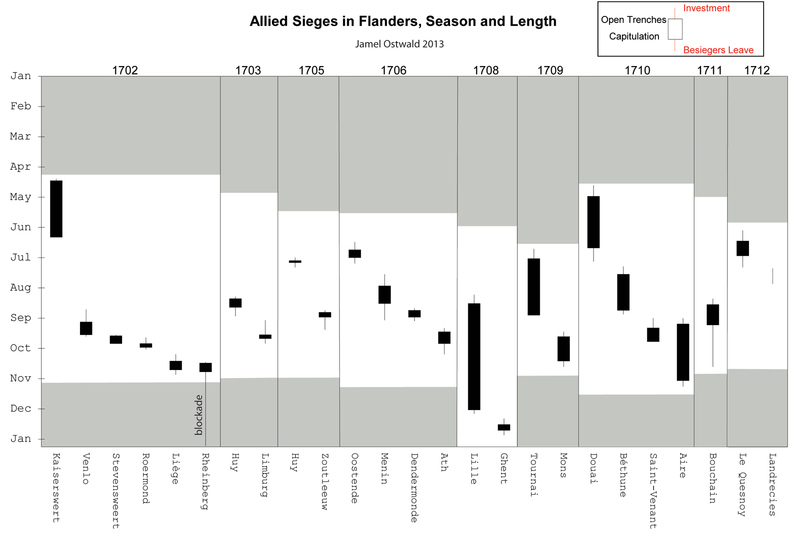 This graph shows the length of each siege (by the four stages, as described in my book), in the context of the campaign. The start of each campaign is at the top of the Y-axis, and you read down and across (to the right) until you get to winter quarters and the dividing line between each year. The campaign season is indicated by the white area in between the two gray areas. Rheinberg 1702 was converted from a short siege into a longer blockade that lasted into winter quarters. The extraordinary length of the final stage of Bouchain 1711 (repairing the fortifications) led to some harsh criticism of the engineers. Comparing the siege lengths across the years, the difference between Vauban’s pré carré and the Spanish bicoques is quite striking. The 1702 exception isn’t really an exception: Kaisersweert, near Dusseldorf, was on the Rhine and largely conducted by the Prussians, rather than the more-competent Dutch. Amazing what can happen when you don’t bother to fully invest the fortress and allow daily reinforcements and evacuation. From the seasons, you can see how late the 1708 campaign lasted (it actually extended into 1709, but I forgot to include that). As well as how late the 1709 campaign season started, thanks to the Grand hiver. 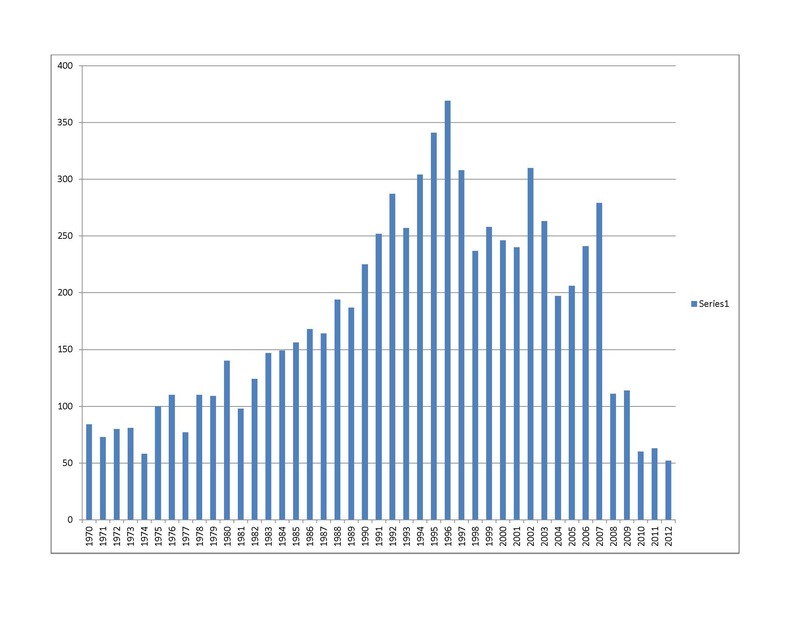 The width of each campaign year has no meaning, other than reflecting the number of sieges conducted in that year. I left out 1704 because the main Allied effort was in Germany rather than Flanders, and I focused on Flanders for my book. 1707 had no sieges of note. I could add other bells and whistles, e.g. icons for other events, a few labels, include the 1704 and 1707 campaign years, put the French sieges in as well. Maybe when I have more time.